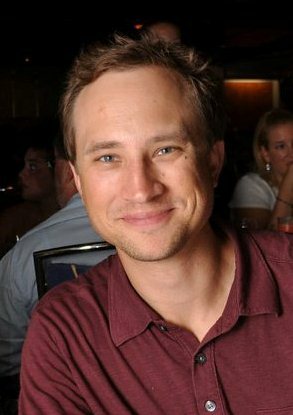 David Bowen is a fiction writer, musician, and an editor at Mayday Magazine and New American Press. He talks with us about literary representatives of the Midwest, cultural and political shifts of the region, as well as his latest endeavors. Midwestern Gothic: First things first, tell us about your Midwestern roots. David Bowen: I grew up in Wausau, a mid-sized municipal hub in northcentral Wisconsin where neighboring communities came to shop on the weekends because we actually had a shopping mall. My stock is German-Polish Catholic, so my earliest memories of schooling—which were at St. Michael’s and St. Matthew’s—largely involve priests and nuns, who were to a one kind and compassionate people, even as they taught and demanded a certain degree of moral rigor. There’s this stereotype of terrible oppression that’s associated with Catholic schooling, but such was never my experience. In the summers, my family fished on Lake Tomahawk, Lake Minocqua, and the lakes surrounding Boulder Junction. We went to church on Sundays except during the downhill ski season, when we prayed from the chairlifts at Rib Mountain all day. MG: What do you think defines this place? DB: For me, water tends to define my part of the Midwest. Minnesota is “The Land of 10,000 Lakes” and Wisconsin has around 15,000, including Lake Superior and Lake Michigan. My soul’s natural element happens to be water, probably in large part because of the green-and-blue place where it took shape—I love it here. There’s also a lot of beautiful farmland throughout Wisconsin. When I think of Wisconsin, I also think of paper—we were once a big logging region. Wausau was originally “Big Bull Falls” on account of all the river logging that took place in the area. The region’s shipping history also feels to me like a big part of the identity of the Great Lakes region—a friend of mine in Superior, Wisconsin—Anthony Buskoski—has written several collections of powerful short stories about Superior’s place in the Rust Belt, not to mention the Polish, German, and Native American people who live there. MG: One of the big things we focus on at Midwestern Gothic is how overlooked the region is, both from a cultural and a literary perspective. Agree? Disagree? If you agree, elaborate. DB: I’ll agree and disagree. I don’t think that the region is completely overlooked, but I think that the Midwest has been slower to work its way into the national consciousness when compared to the South, the East Coast, and the West. We’re a sort of geographical middle-child in America. Our country began on the East Coast, where we now keep our Capitol and a city that is in many ways The City. The South lost a racially-charged civil war that is incredibly important to our national identity, and has continued to be a place defined in many ways by the challenges and insights that come with racial diversity and a charged racial history. The counter-culture movement of the 60s emanated from the West Coast, giving it a regional identity that was already geographically defined by mountains and an ocean, not to mention Hollywood. In the Midwest, we’ve historically been a farms-and-factory region situated on flat land. But that said, I think we have a fair amount of representation in literature and culture, and that representation continues to grow. Jonathan Franzen’s Corrections is a Midwestern novel that found a huge readership. Hemingway and Fitzgerald were Midwestern writers, even if their work was not always squarely aimed at the Midwest. Sherwood Anderson’s Winesburg, Ohio is a crucial canonical exploration of the Midwest. Jim Harrison is one of my favorite Midwestern writers—I think it was Tom Bissell who affectionately dubbed him “The Dean of Midwestern Letters.” Jeffrey Eugenides has written some books set in Detroit that earned enormous acclaim, and Sophia Coppola made his Virgin Suicides into a gorgeous film. The Coen brothers’ Fargo is set in North Dakota, as are books by Louise Erdrich, who along with Tim O’Brien also writes about Minnesota. Garrison Keillor is a huge Minnesota writer and purveyor of Midwestern culture, in no small part through his radio show The Prairie Home Companion. I think my favorite Midwestern novel of the past few years is Dan Chaon’s Await Your Reply, set largely in Ohio and Nebraska. I love Ron Hansen’s stuff. Lorrie Moore is incredible. Michigan’s own Bonnie Jo Campbell is at the very exciting beginning of a brilliant writing career. David Foster Wallace grew up in Urbana, Illinois, and his posthumous The Pale King is set in an Illinois IRS office. And we haven’t even begun to talk about Chicago: Stuart Dybek, Joe Meno, Aleksandar Hemon, Sandra Cisneros, Theodore Dreiser, Upton Sinclair, Saul Bellow, Richard Wright, Rosellen Brown, Carl Sandberg, Nelson Algren. I think that we have a pretty solid cultural and literary pedigree in the Midwest, but I think you’re right that we have a certain amount of trouble clearly identifying a given artist or work as “Midwestern,” and I think that this goes back to the powerful forces that first defined the other regions of the United States. Geographically and culturally, we are in some ways defined by the limits of other regions, but I think projects like Midwestern Gothic and the Great Lakes Review are designed to help take more ownership over our regional identity. MG: What do you think will define the region going forward? Are there any cultural shifts or movements happening that could tip the scales? DB: I can’t help but think about Wisconsin’s recent importance in national politics. The GOP seems to have identified the state as a right-wing testing ground. After Scott Walker was elected in the midst of a world-wide economic recession, his administration commenced with a de-unionizing agenda that paraded as a budget-fixing measure, but was transparently a move to hobble state unions’ efforts to support Democratic candidates for national political positions. Public unions overwhelmingly support Democratic candidates with their campaign contributions and organizing efforts. So when public unions in Wisconsin agreed to Governor Walker’s budget-fixing measures, he continued with the GOP agenda to de-unionize. And then he lived through a hard-fought recall election, thanks in large part to massive donations from outside the state. But then Wisconsin went blue in the 2012 presidential elections, and elected Tammy Baldwin as the country’s first openly-gay senator, even after the state passed one of those nutty marriage restriction measures in 2006. So it seems that for a region that goes back and forth with its politics, Wisconsin is currently in a progressive upswing, probably with enough momentum to continue in 2014. All of this political activity contributes to the transformation of regional identity on the local, state, and national levels, but in literary and cultural terms, I’d like to cite the efforts of Edwin Perry, who organized the first annual Midwest Small Press Festival in Milwaukee earlier last summer. It gathered small presses and literary magazines from Wisconsin, Michigan, Illinois, Minnesota, Iowa, Kentucky, Indiana, New York, and Georgia. Such a project helps us explore a regional community and identity, even and especially when it involves some out-of-region areas like New York and Georgia (I think of northern Kentucky as Midwestern). The book fair for the festival was held in the ballroom of a local bar, The Polish Falcon. Magazines and presses from throughout the region were represented—Rain Taxi, Curbside Splendor, Another Chicago Magazine, Branch, Plumberries Press, New American Press, and dozens of other quality small presses and magazines that are working to create opportunities for cultural exchange in the Midwest, Midwestern Gothic very welcome among them. It seems that the internet, print-on-demand, and a revived interest in handmade books has helped small presses and lit mags flourish, and each of these in turn produces work that brings some synthesis of local and national and even global culture to a wider audience. And as we seek each other out, we’re able to continually refine that synthesis via dialogue. MG: When you’re an adult, there are no limits, and you get to do all sorts of things no kid could dream of doing. Why do you think so many people still yearn for their childhood? DB: It’s simple: When we’re kids, all we have to do is dream. When we’re adults, we have the much harder work of fulfilling those dreams. It’s satisfying to work toward the dreams we had as children, but we also learn that we must abandon some dreams while we pursue others. Our ongoing choices force us to see ourselves in new and distinct ways, but we yearn for a time when we were able to control all these future identities simply by imagining them—which is perhaps also what draws some of us to art. We always continue to evolve into new ways of being, but there were perhaps fewer variables when we were children and more potential options. Children, of course, rarely dream the greatest achievements of their adulthoods. That sort of dreaming demands a certain amount of maturity. MG: Tell us about your projects – what inspired you to work on them, what are they all about, etc. What’s on the horizon for you? What’s been your favorite part of the process? DB: I’ve been working on publishing ventures with friends of mine since 2001. Okla Elliott and I began publishing chapbooks with New American Press and we graduated to full-length works of fiction, nonfiction, and poetry in 2007. In 2009, we launched MAYDAY Magazine to feature international art, writing, and critical commentary. And in 2012, Rob Jackson and Dave Megenhardt had the idea to launch a magazine that focused on the artistic and cultural efforts of the Great Lakes region, and offered to include me as a contributing editor. That magazine is the Great Lakes Review, and the first issue includes such greats as Ani DiFranco and Stuart Dybek, as well as several other writers and artists from around the Great Lakes region. On the horizon for New American Press is our first grant-funded book, a collection of stories by Ólafur Gunnarsson, an Icelandic writer. We’ll also be releasing another collection of stories by Micah Dean Hicks and a book of poems by Paul Nemser, both by summer 2013. We’re talking to some translators about another collection of poems that probably wouldn’t happen until late in 2013 or early 2014. 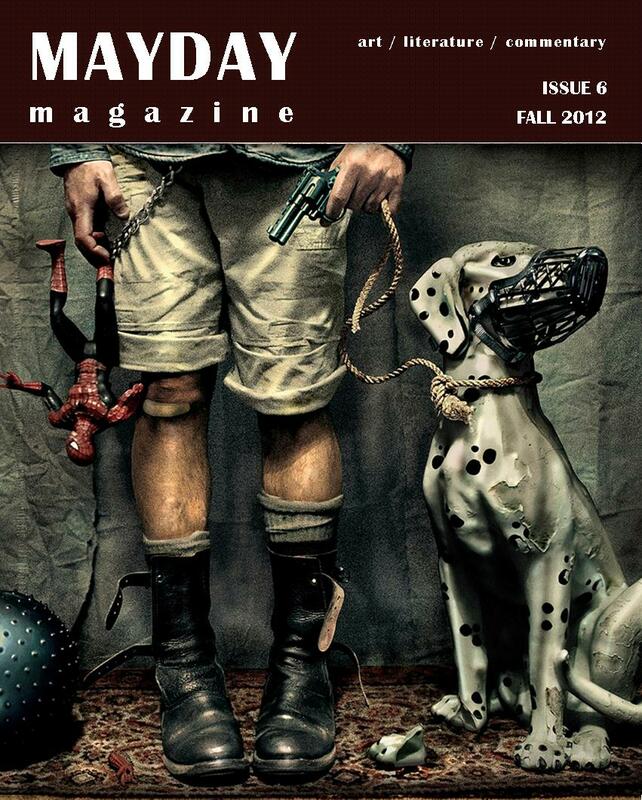 MAYDAY Magazine and Great Lakes Review will both release new issues by summer 2013 as well. MG: Where can people find out more about your projects?